Buying a car online has become commonplace, largely due to Trade Me's online vehicle auctions. Our Vehicle Information Report (VIR) will instantly tell you whether the vehicle is reported stolen, has money owing or has an inconsistent odometer. If you are unable to inspect the vehicle we recommend getting a full pre-purchase inspection. Explain to VTNZ that you are buying the vehicle sight-unseen. The Full Pre-Purchase Inspection includes photos of the vehicle. If the vehicle passes the history check and physical inspection then you should be ready to proceed with the sale. 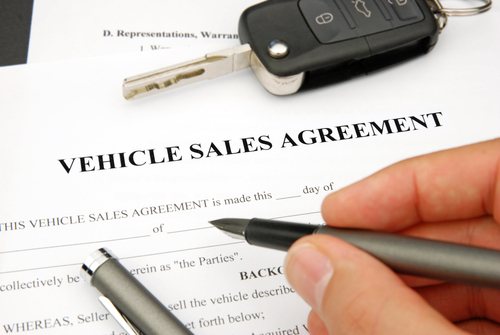 A Vehicle Purchase Agreement will help protect you should any problems occur. We provide a free personalised Purchase Agreement with every VIR. 4. Protect your new asset! Before you drive off, call your insurance company to ensure you are covered. We recommend changing ownership as soon as possible. You can change ownership online here.